Good morning! I just dropped the girls off at school (we have a late start Monday which I LOVE because I get one more day to sleep in!) and Noah is sitting next to me at the kitchen table, both sipping our ‘coffee’ and planning for our day. My day is going to include a trip to turn in recycle and donating a bunch of old toys and outgrown clothes. I’ll clean the house a bit more and then get an early dinner ready so we can all eat before Anika’s choir and band program at 7 pm. She is pretty nervous (as anyone would be!) but I’m excited because this is her first performance in middle school. Before Noah and I head out to run errands though, I’m browsing around online collecting Christmas cookie recipes so I can pick up any extra ingredients I may need in town today. I love making holiday cookies every year and I’m planning on starting my baking frenzy tomorrow. There’s something so pretty about handmade and hand decorated treats, each one a different flavor and color. I like to have a variety of cookies, from intricate ones that take me a bit of time to make, to easy ones that the kids can pretty much do themselves – like the Rice Crispy Treat Trees I found while looking at Foodie.com. We are definitely making those together! Lastly I want to make sure I have multiple flavors when I give my holiday cookies – not too much chocolate or too much peppermint. I like a good balance between traditional holiday flavors and a few surprises like orange or raspberry flavors. So, here are a few cookie recipes that I’ve found so far, and I’ll be looking for a bit longer before heading out. Are there any Christmas cookies that you just can’t live without? 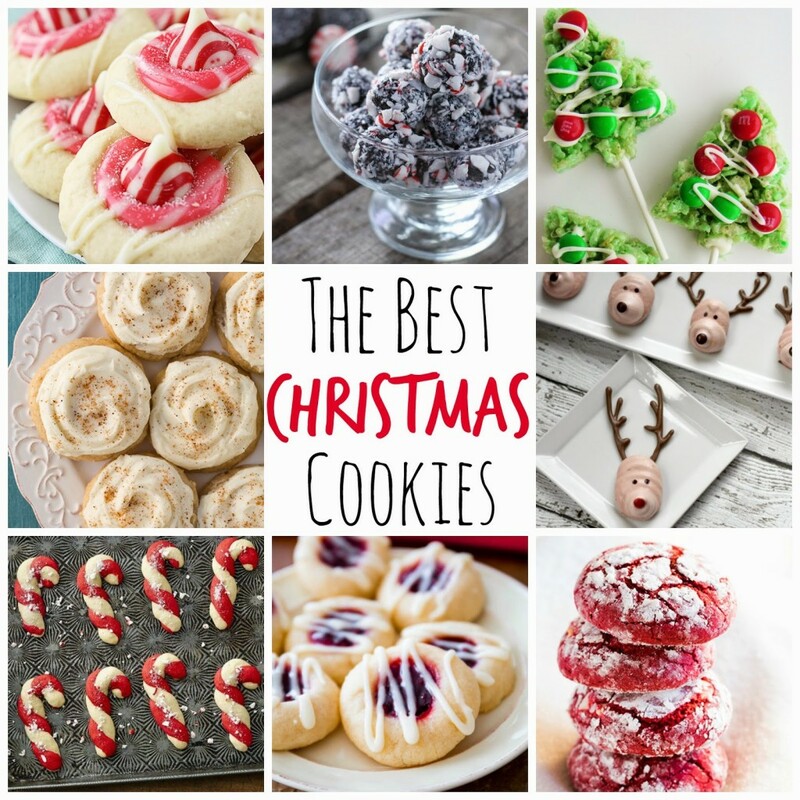 How many different kinds of cookies do you make each year? Reading your post reminds me so much of all the cookies my Mom made and they were not easy cookies to put together. One of my very favorites were her ice box cookies. Don't have the recipe anymore and no way to get it but have wonderful memories of her baking so many cookies at holiday time. She worked 6 days a week but made delicious Sunday dinners, home made noodles, roasts. How she did all she did is such a mystery. The only thing I did to help was to keep house clean, do my own laundry, days before washers and dryers ( had a wringer washer, hung on clothes lines). She ironed my Dad's white shirts for his job until I was old enuf to do them. He even liked his underwear ironed, (those old baggy things) and his hankies of course. This was in days before wash and wear. I was teenager in 50's, didn't drive til I was almost 28. You really stirred up some great memories. Have wonderful time making cookies with/for your family. If I made too many cookies we'd eat them and I'd get fat. I do bake just not like I used to. Good for you making memories with your kids. I really do wish I had the recipes for her cookies and home made Kucken? Oh my dear, to die for. Yummy! Thank you so much for linking up at Tasty Tuesday! Your recipe has been pinned to the Tasty Tuesday Pinterest board! Please join us again this week!